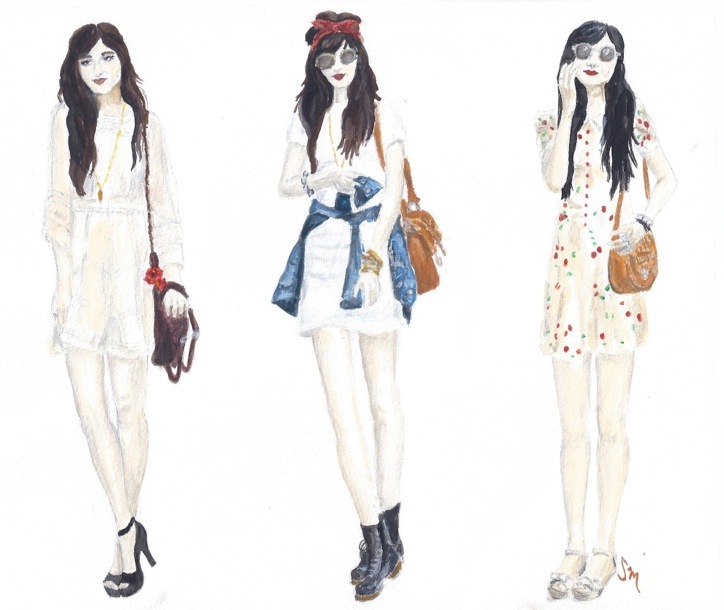 One of my lovely readers, Sabina Mallott from My Style Canvas, drew these amazing fashion sketches of a few outfits I wore. Obviously the theme is the Little White Dress, one of my ultimate favorite summer looks. See the original photos here, here, and here. Thanks so much Sabina! Wow, these are gorgeous pictures. They look so much like you. Beautiful outfits, too. it is as hot as it is in toronto, as it is in NY these days? Wow! These are totally amzing, should definitely be framed & up on your wall!! beautiful draws.... great blog! follow each other???? Wow! These are so great. I especially love the last illustration. I can't wait to check out more of her work! Ugh this makes me wish I could draw! Those shots are all so you. Especially the middle one. These are very cute! :)great artwork!